Courtesy of Morton Walker Realty. This beautiful 4 bedroom/2.5 bath home has many custom upgrades, from paint to newly installed laminate hardwoods in den and have bath, custom paint, antiqued cabinets, granite counter tops, island and new dishwasher and stainless steel appliances. Share wonderful family/friend gatherings in the huge kitchen, as well as cookouts in the amazing backyard that has been professionally maintained while enjoying time under custom built screened-in porch which has a ceiling fan and solar blinds. Enjoy your music as you relax because your home is wired for surround sound throughout. All the bedrooms are spacious with walk-in closets and the Master bedroom has separate tub and shower, dual vanities and custom walk-in closet. The Seller also has a home warranty with Choice Home Warranty which will transfer to new Owner...savings for you already. Must See!! 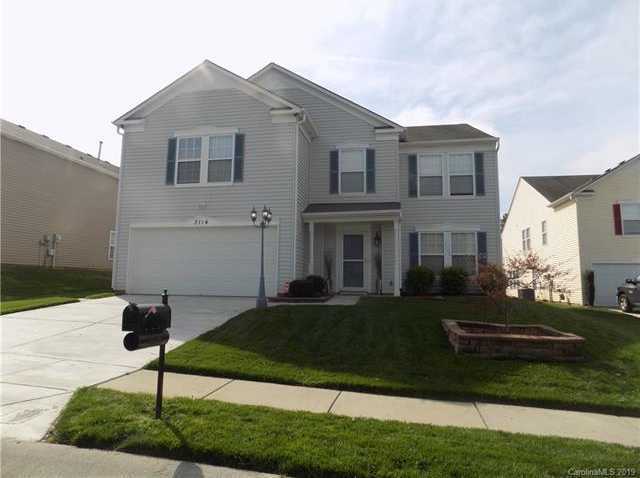 Please, send me more information on this property: MLS# 3495657 – $265,000 – 3114 Bamburgh Court, Charlotte, NC 28216.